Vitamins, supplements, and diet- Oh, my! With five people in our family, each with their own health requirements. We have researched and tried our fair share of vitamin supplements. According to recent health studies, many of us are taking vitamin supplements, however, too many of those surveyed admit that forgetfulness is the biggest daily obstacle to taking their supplements. With a surprisingly delicious taste and universal appeal within our home, Adora Calcium Supplements have made remembering our daily supply of calcium, Vitamin D3, and Magnesium incredibly easy. Thank you to the team from Adora for sponsoring this post with a promotional item for the purpose of facilitating this advertorial. Being that our bones will be needed to essentially support us throughout our lives, maintaining healthy bones is important for everyone from day one and beyond. 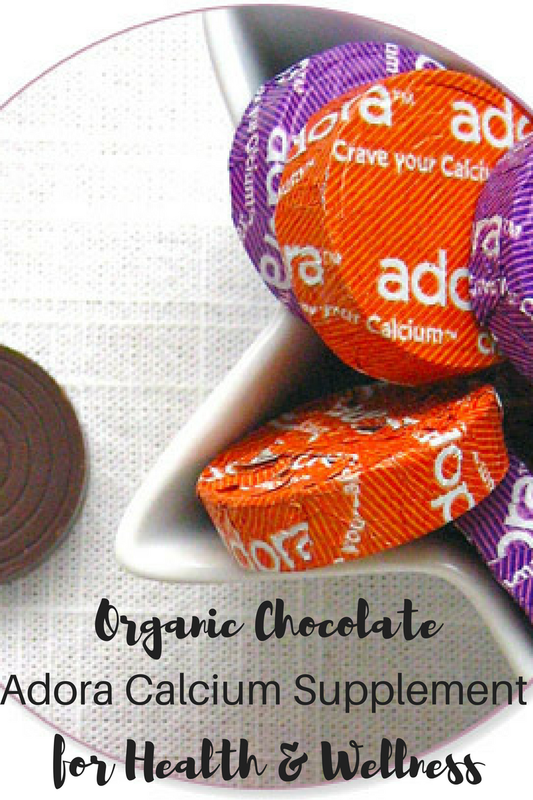 Adora Calcium Supplements feature delicious organic dark and milk chocolate made from Rainforest Alliance Certified Cocoa with calcium that you will crave instead of forget to take daily. Simply enjoying an Adora chocolate disk after your morning breakfast or snack, and even as a sweet treat after dinner, two daily servings will provide 100% of your recommended daily amount of calcium. 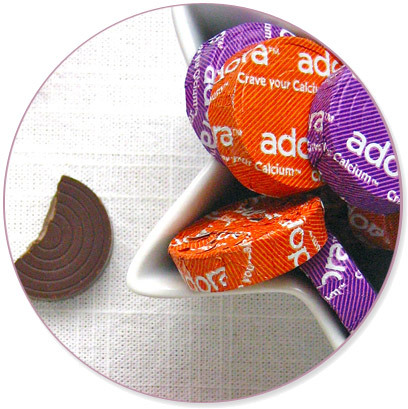 Each of the tasty Adora Calcium Supplements are gluten-free, with no GMOs, and no trans fats, helping to protect your bone health supplying half of your daily value of calcium with Vitamin D3 and Magnesium for increased absorbtion. With some great ideas, Brittany Dixon of A Healthy Slice of Life shares some of her tips for incorporating Adora into her family's daily healthy routine. "As a mom to two little girls, I’m used to packing snacks every time we head out, as being somewhere with grumpy, hungry kiddos is no fun. But what about me? Packing a piece of fruit, some roasted chickpeas sprinkled with sea salt, and a hard-boiled egg will keep me energized through any play-date. I also keep Adora Calcium Supplements in my bag. 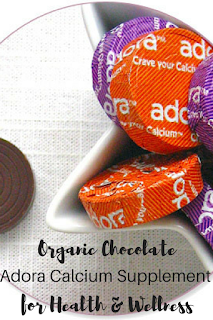 One Adora in the afternoon gives me a little bite of something sweet." "I probably have a bottle of sunblock in every diaper bag and stroller pocket. We’re fortunate to spend a lot of time outside and I make sure the girls are protected. I’m also pretty conscious of slathering it on myself. Who wants wrinkles?! All of this sun protection can limit my vitamin D absorption. Just two servings of Adora Calcium Supplements ensure I’m getting my daily vitamin D without the help of the sun. 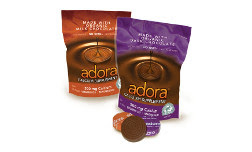 Plus, Adora’s delicious chocolate disk goes so well with my morning coffee." Visit Adora Calcium Supplements online to purchase products and to find additional bone health information.